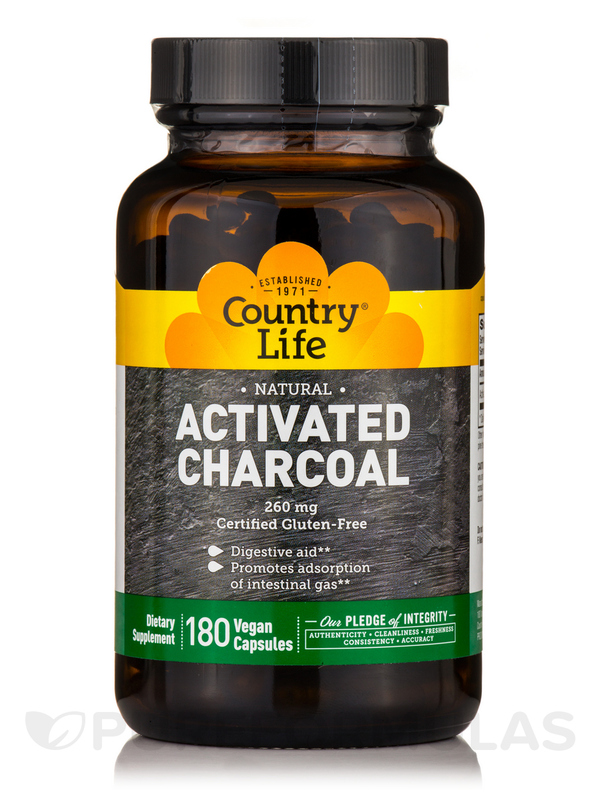 Charcoal is commonly used as a digestive aid due to its adsorption qualities. 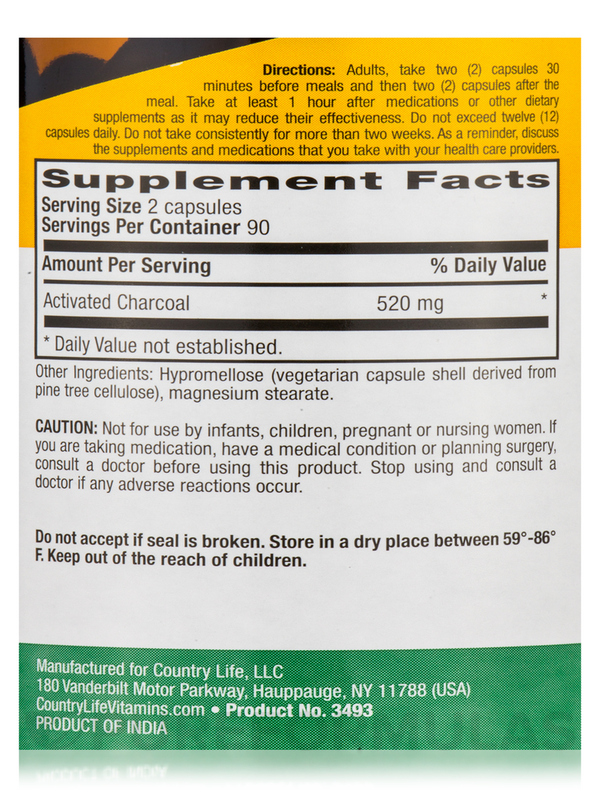 In the digestive tract‚ Charcoal can provide some intestinal comfort by adsorbing gas produced from a meal. Other Ingredients: Gelatin (capsule shell)‚ magnesium stearate. 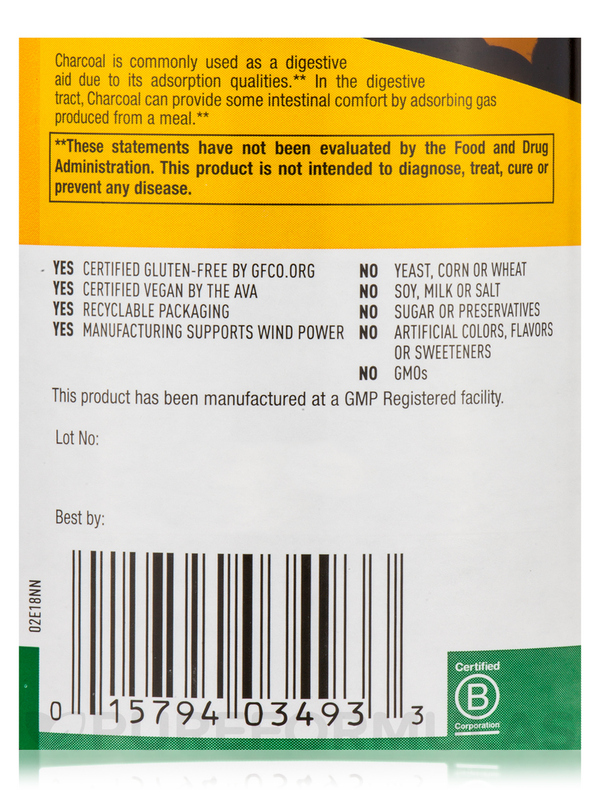 Certified Gluten-Free / Yeast-Free / Corn-Free / Wheat-Free / Soy-Free / Milk-Free / Salt-Free / Sugar-Free / Preservative-Free. No Artificial colors‚ flavors or sweetener. 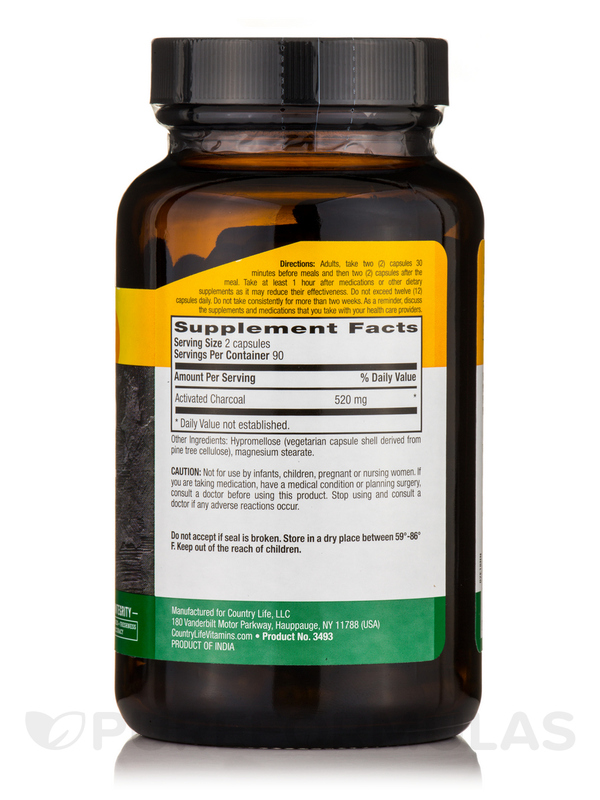 Adults‚ take two (2) capsules 30 minutes before meals and then two (2) capsules after the meal. Do not exceed twelve (12) capsules daily. Do not five to infants or children. Not for use by pregnant or nursing women‚ or those with variegate porphyria. If you are taking medication or planning a surgery‚ consult your doctor before using this product. Store in a dry place between 59° - 86°F. 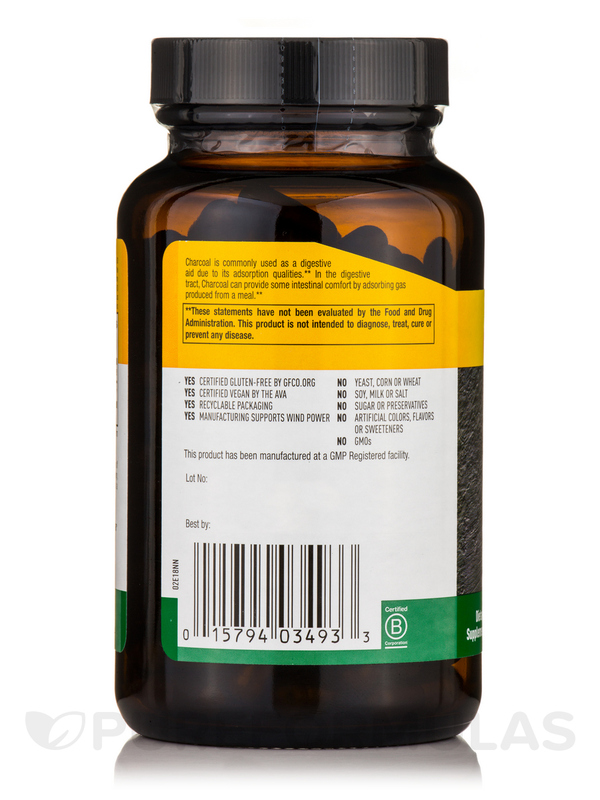 Capsules are easy to swallow, and easy to open when using the contents.